Bakers and Brewer’s Yeast. 2012. <bioweb.uwlax.edu/bio203/s2012/vandenla_beth/index.htm>. Accessed 22 November 2013. CBS-KNAW Fungal Biodiversity Centre 2000. <http://www.cbs.knaw.nl/Collections/BioloMICS.aspx?Link=T&TableKey=14682616000000067&Rec=16628&Fields=All>. Accessed 15 November 2013. Deane, Arny, Rodrigues, C.J. 1966. Role of oxidative enzymes in the physiology of the leaf spot of coffee caused by Mycena citricolor. Phytopathologische Zeitschrift 57:375-384. EcoPort. <http://ecoport.org/ep?SearchType=pdb&PdbID=20254>. Accessed 22 November 2013. Encyclopedia of Life. <http://eol.org/pages/1029486/overview>. Accessed 12 November 2013. Encyclopdia Brittanica 2013. <http://www.britannica.com/EBchecked/topic/400221/mycelium/>. Accessed 23 November 2013. Mycologia. 2013. <http://www.mycologia.org/content/98/6/982.full>. Accessed 22 November 2013. National Oceanic and Atmopsheric Administration. <http://oceanservice.noaa.gov/facts/biolum.html>. Accessed 22 November 2013. Rao, D.V., Tewari, J.P. 1986. The production of oxalic acid by Mycena citricolor, causal agent of the American leaf spot on coffee. Phythopathology 77:780-785. Science Buddies 2013. <http://www.sciencebuddies.org/science-fair-projects/project_ideas/Chem_AcidsBasespHScale.shtml>. Accessed 23 November 2013. Weitz, Hedda, Campbell, Colin and Killham, Ken. 2002. Development of a Novel, Bioluminescence-based, Fungal Bioassay for Toxicity Testing. Environmental Microbiology 7:422-429. Weitz, Hedda, Campbell, Colin and Killham, Ken. 2006. 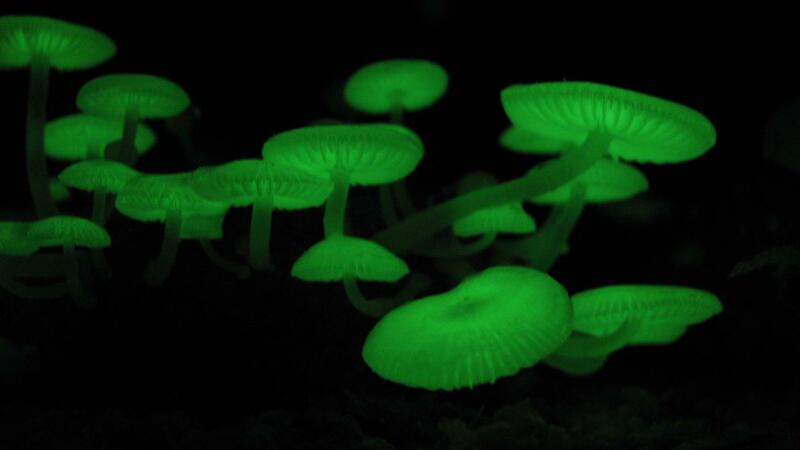 The effect of culture conditions on the mycelial growth and luminescence of naturally bioluminescent fungi. Environmental Microbiology 2:165-170. WiseGeek 2013. <http://www.wisegeek.com/what-is-metabolic-activity.htm>. Accessed 23 November 2013.